"The main aim of our Project which is supported by TÜBİTAK (The Scientific and Technological Research Council of Turkey) is to examine at least 150 newspaper and magazines that were published in Arabic based alphabet in the period 1831-1928, in order to find out and record the serial novels published in these periodicals. By the data that will be collected through the examination and scanning of the periodicals a database is going to be generated. Researchers can access this database from eResearch@ozyegin repository that is located under Ozyegin University Library from 1 January 2017 onwards. Database will provide opportunity to achieve information about the uploaded works on the basis of chronology, author, and periodical. Another aim of the project is discovering novels and novelists that are not mentioned in literary histories or gone into oblivion in the pages of newspapers, and adding their names to the literary history. Discovery of new names and novels on the one hand enriches Turkish literature; on the other hand it also makes re-evaluation of Turkish novel history indispensible. Therefore when the project is finalized the history of Turkish literature up to 1928 would have the chance to be assessed with a new perspective including the sociological and political analysis." Turkish Studies is a journal publishing academic , scientific and original articles based on research, analysis and assessment. Especially Turkish and English, German, French and Russian articles are published since Turkish Studies is published in the field of Social Sciences. Turkish studies , one of the most respected journals in the field of Turcology, is the meeting point for scientists. The most important feature of the journal is the system of guest editorial. Scientists leading their fields and achieved success can publish special issues on their professions thanks to the guest editorial system and as a result, reference guides belonging to the related fields are published. Thus, both scientists realize their dreams on their own fields and qualifed reference guides on their fields are published. Turkish Studies is in touch with great numbers of Turcology Institute all over the world. It has agencies in 30 countries from Norway to Canada. Turkish Studies is scanned by tens of indexes and databases. It was established by the efforts of many scientists connected to different universities. Therefore, Turkish Studies is non-aligned to any university or institution and it is maintaining its publishings independently. 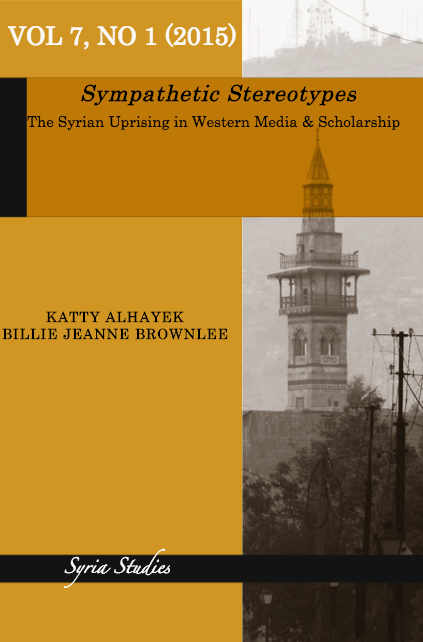 Welcome to Syria Studies, the official online journal of the Centre for Syrian Studies (CSS) at the University of St. Andrews. 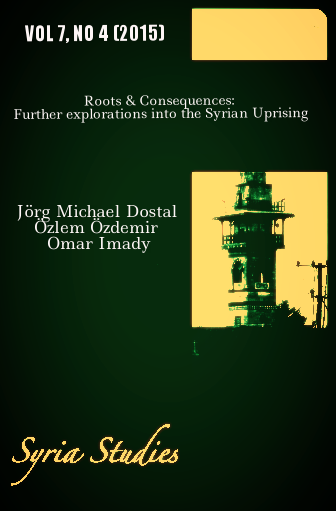 Syria Studiesis a peer reviewed and indexed journal that has previously been published in hard form. 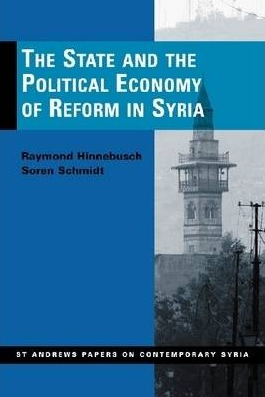 We are proud to include on our Board of Reviewers some of the most renowned authorities on Syria. 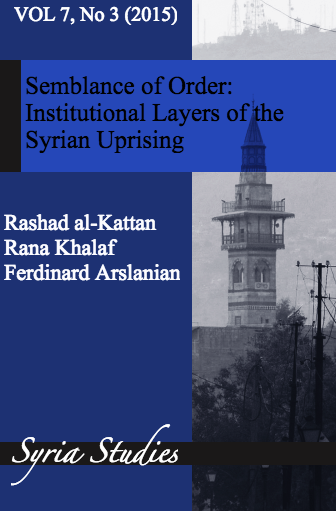 Vol 4, No 1 (2012): State and Islam in Baathist Syria: Confrontation or Co-optation?